Pharmacological approaches to treat breast cancer metastases in the brain have been met with limited success. In part, the impermeability of the blood brain barrier (BBB) has hindered delivery of chemotherapeutic agents to metastatic tumors in the brain. BBB-permeable chemotherapeutic drugs are being developed, and noninvasively assessing the efficacy of these agents will be important in both preclinical and clinical settings. In this regard, dynamic contrast enhanced (DCE) and diffusion weighted imaging (DWI) are magnetic resonance imaging (MRI) techniques to monitor tumor vascular permeability and cellularity, respectively. In a rat model of metastatic breast cancer, we demonstrate that brain and bone metastases develop with distinct physiological characteristics as measured with MRI. Specifically, brain metastases have limited permeability of the BBB as assessed with DCE and an increased apparent diffusion coefficient (ADC) measured with DWI compared to the surrounding brain. Microscopically, brain metastases were highly infiltrative, grew through vessel co-option, and caused extensive edema and injury to the surrounding neurons and their dendrites. By comparison, metastases situated in the leptomenengies or in the bone had high vascular permeability and significantly lower ADC values suggestive of hypercellularity. On histological examination, tumors in the bone and leptomenengies were solid masses with distinct tumor margins. The different characteristics of these tissue sites highlight the influence of the microenvironment on metastatic tumor growth. 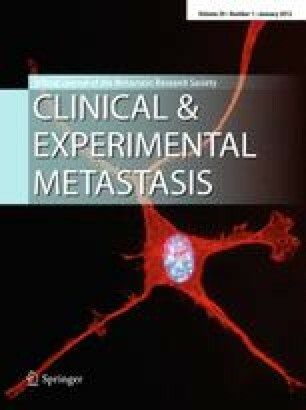 In light of these results, the suitability of DWI and DCE to evaluate the response of chemotherapeutic and anti-angiogenic agents used to treat co-opted brain metastases, respectively, remains a formidable challenge. This study was supported by the Intramural Research Program of the Clinical Center at the National Institutes of Health. We thank Molly Resnick for assistance with data analysis.